D-Link has announced that it will be shipping its ultra stylish web TV set top, the Boxee Box, next month. D-Link has been making waves with the Boxee Box ever since it was unveiled at CES 2010. The box uses the same architecture which will be in the upcoming Google TV systems and essentially is a portal to the whole of the web's TV and movie content on your TV. Inside powering the device is the Intel Atom CE4100, Intel's system-on-a-chip. 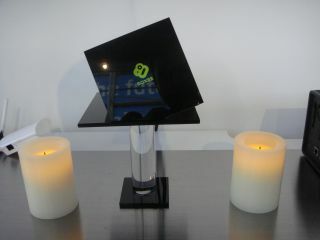 TechRadar has already got its hands on the Boxee Box and we were pleased with what we saw. Alongside the ability to watch streamed content from the web, you can also exchange recommendations with friends using social media sites like Facebook, organise your music, photos and videos on the thing and browse the internet. You also get a remote which couples as a keyboard, so you can surf to your heart's content. D-Link is currently taking pre-orders for the box so go to www.dlink.co.uk/boxeebox to see the full list of e-tailers you can get the box from. The actual UK release date for the Boxee Box has been confirmed as 12 November.